I’m currently cutting a digital feature and this has made me think about editing styles. 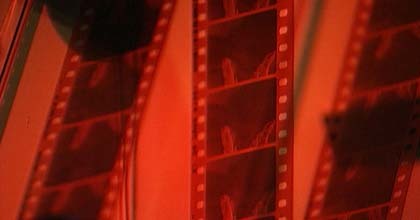 Here are an even dozen tips that I feel will make any budding film editor better at this craft. I’m sure not everyone will agree with all of these points, since they come out of my own approach and style. Nevertheless, I hope they offer some takeaway value for you. 1. Cut tight – The best editing approach is to cut tight scenes without becoming too “cutty”. This means taking out unnecessary pauses between actors’ delivery of dialogue lines. Sometimes it mean tightening the gaps within dialogue sentences through the use of carefully placed cutaways. It may also mean losing redundant lines of dialogue, after the director has reviewed your cut. Click for my review of How to Live with Your Parents (For the Rest of Your Life) in Slant Magazine. Read my review of The Bailout (Parks and Recreation S5 EP16) in Indiewire! “Every year, BAM Education offers the Young Film Critics program to high school students. It’s a series of free after school classes taught by veteran NYC film instructor Josh Cabatt. We’re excited to have two new members join The Master Cleanse team in the roles of Production Manager and Locations Manager!